Panama City, the capital of Panama, the most cosmopolitan city in all America Central. Time needed to visit Panama City: 2 days, if you really want to enjoy the nightlife maybe add one day more. Budget: 40-50$ per Day, take into account in high season the budget needed may increase. Tips what to see, where to sleep, where to eat and drink and how to visit Panama City. Casco Viejo, the old town of Panama with a Spanish colonial architecture, a great place to explore and walk, renovation is in progress in some of the areas. Don´t miss the Iglesia de San Jose and San Francisco at Plaza Bolivar. There are tons of eateries, bars, coffees and shops around, you will also find a lot of rooftop bars to enjoy the nightlife. There is one thing you need to be aware of, between Casco Viejo and Amador Causeway the El Chorillo neighbourhood is located, you should not walk through there at day or night time as it is qualified as the most dangerous neighbourhood in Panama City. 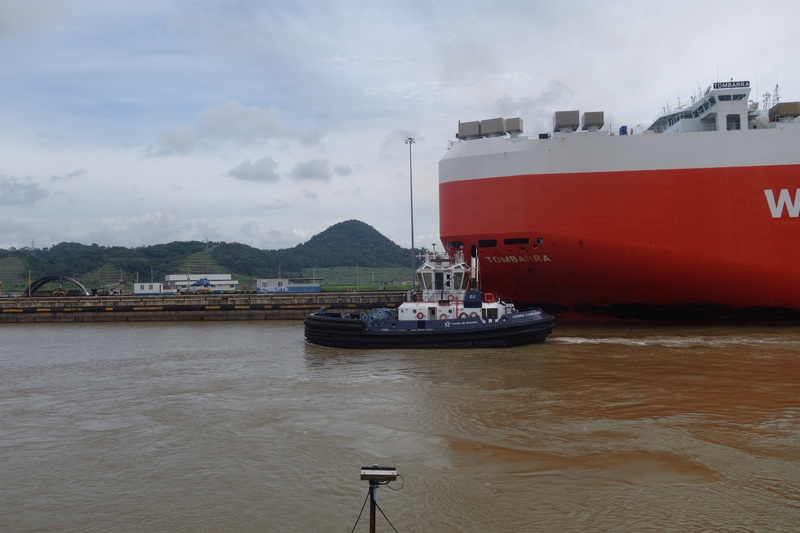 Panama Canal, is a must see in Panama City, it will not be the most exciting thing you will do or see in Panama but you cannot come to Panama and not visit the Canal. The entrance of Miraflores Locks cost 15$ and is rather high for what you get to see, so we would recommend you to stay at the side, wait for a boat come through and enjoy it from the side for free. Amador Causeway, a road over the water. The road of Amador Causeway was built using rocks excavated from Panama Canal. It connects four small islands and serves as a breakwater at the entrance of the Canal. The Ruins of Old Panama City, it was the first city on the West coast of the Americas and served as a gateway city for the Spanish conquest of Latin America. Enjoy the ruins and the museum during day time, just a couple of blocks away there is an area that you should not walk through specially after dark. is the safest district in all Panama City, because there are a lot of embassies you will find a lot of police all day. 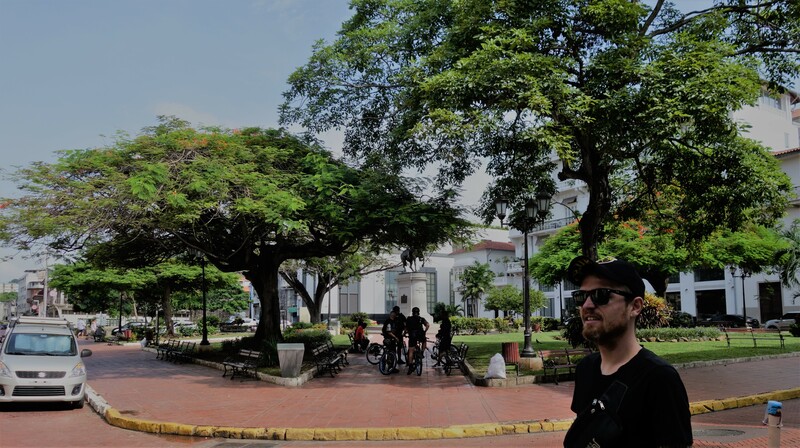 Casco Viejo is a highlight from Panama City and you don´t need to take a taxi to explore this historic Spanish colonial. an amazing variety of night clubs and restaurants make it the most popular nightlife destination and you can forget about going by taxi! At the end, staying in Casco Viejo will make you save some money and is the area where you can meet a lot of travellers. If you don´t want to stay in Casco Viejo we recommend you Mamallena hostel, it is also well located and there you will find a lot of other backpackers, maybe you can even join others and continue exploring Panama together. 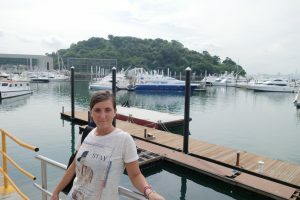 They also offer a lot of tours to explore Panama. Mi Ranchito, you will find it Amador Causeway, is a very popular restaurant, good local food and prices are really affordable. The Fish Market, fresh fish and seafood, chill ambiance and outdoor seating. A can of beer cost just 1$. Café Coca Cola, in Casco Viejo, amazing and unique place, the first café at Panama City. Excellent food for a reasonable local prices, visited also from locals and they do not take advantage of tourists. Mercado de Mariscos, there you will sit under a tent, on plastic chairs and the tables are with no tablecloth at all but is a place to go if you want a great ceviche and cheap beer, a Balboa can just 1$, a ceviche cup between 1,50-3$. Join a walking tour for free based on a tip and it´s also a good opportunity to meet other people and get socialized if you are travelling alone. Normally they are offered in Spanish and English. 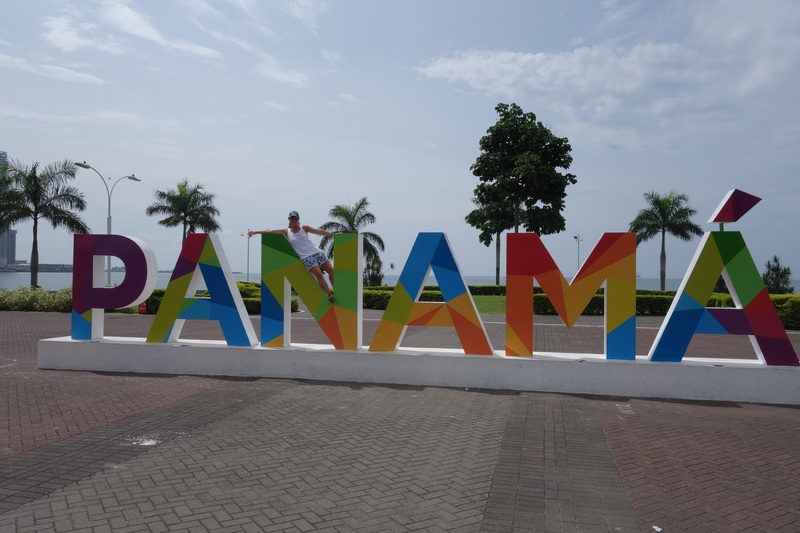 The Panama City bus touristic, exceed the Backpacker budget but is definitely a way to see a lot from Panama in a short time, it will cost about 29$ per person. The Panamanian people like to party, you can feel it in the city because of the amount of different style of bars and clubs you will find. Be aware also that Panamanian people like to dress nice for party. The nightlife takes place manly in 3 different areas: Casco Viejo the most popular area if you want to go out at night. The business district concentrated at the Uruguay street and Amador Causeway. Take a taxi from your hostel to the area you want to go and go back also by taxi as it is the best option in this city to enjoy the nightlife. After spending a couple of days in Panama City, we recommend you to pack your backpack and go to explore San Blas Islands. Read about it in our next San Blas Born Backpacker Guide. We hope you like our Panama City Born Backpacker Guide, follow us there is more to come! This sounds absolutely wonderful ! A very practical guide for a traveler on a budget . Thanks for your positive comment Cherralle! Sounds like an amazing place. Thanks for taking me round it with this post. A pleasure! Keep following us there is more to come!